The information presented on this page was originally released on January 8, 2014. It may not be outdated, but please search our site for more current information. If you plan to quote or reference this information in a publication, please check with the Extension specialist or author before proceeding. GOODMAN – Fruit, vegetable and flower growers can learn ways to improve their skills and productivity during a year-long series of monthly field days beginning Jan. 17. Experts from the Mississippi State University Extension Service, the Mississippi Agricultural and Forestry Experiment Station and several partner organizations will discuss various topics each month at the Alliance for Sustainable Agricultural Production Farm near Goodman. 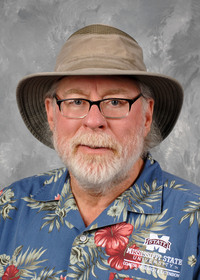 “These workshops are intended to provide hands-on learning opportunities that cover issues and topics growers are dealing with during a particular time of year,” said Keith Benson, farm director. January’s topics include high tunnels and season extension, seed starting and transplanting, and certification options and assistance through the U.S. Department of Agriculture’s National Organic Program. The field day begins at 10 a.m. and ends at 2:30 p.m. Attendance is free but preregistration is required. Lunch and materials will be provided. Growers of all experience levels are welcome. Special topics, such as the National Organic Program, discussed at select field days will be addressed throughout the year at follow-up meetings and workshops for growers who are interested in pursuing special training or need help with paperwork associated with the topics. Field days will be held on the third Friday of each month, January through November. The last field day is scheduled for Dec. 12. Topics range from recordkeeping and marketing to crop selection and equipment maintenance. All field days will be held from 10 a.m. to 2:30 p.m.
To register for the field day or for more information, contact Keith Benson at 601-988-4999 or keithmdp@yahoo.com. The Alliance for Sustainable Agricultural Production is located one mile southwest of Highway 51 in Holmes County at 1184 Coleman Road, between Goodman and Durant. 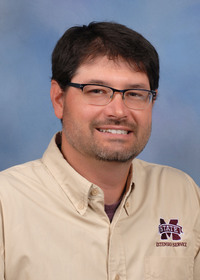 The MSU Extension Service and Mississippi Agricultural and Forestry Experiment Station, Alcorn State University Extension Program and the University of Mississippi Transactional Legal Clinic produce the series, while the Mississippi Department of Agriculture and Commerce and the USDA Specialty Crop Grant Program fund it. Blossom-end Rot of Tomato - Take Corrective Action!